Popular perceptions of life in Japanese prisoner of war camps are dominated by images of emaciated figures, engaged in slave labour, and badly treated by their captors. This book, based on extensive original research, shows that this view is quite wrong in relation to the large camp at Changi, which was the main POW camp in Singapore. 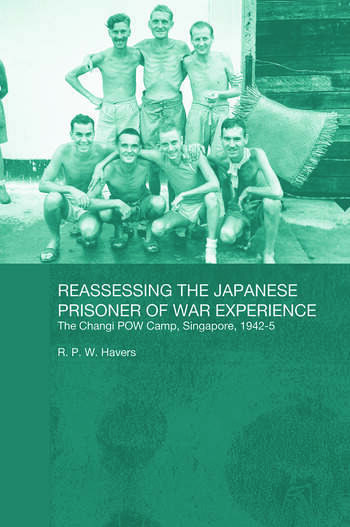 It demonstrates that in Changi the Japanese afforded the captives a high degree of autonomy, that this in turn resulted in a prison camp society that grew and flourished, in contrast to other Japanese POW camps, and that it fostered an independent and combative spirit, and high morale. Rob Havers studied at Queen Mary & Westfield College London, the London School of Economics, and Pembroke College Cambridge. He is currently Senior Lecturer in War Studies at the Royal Military Academy, Sandhurst.